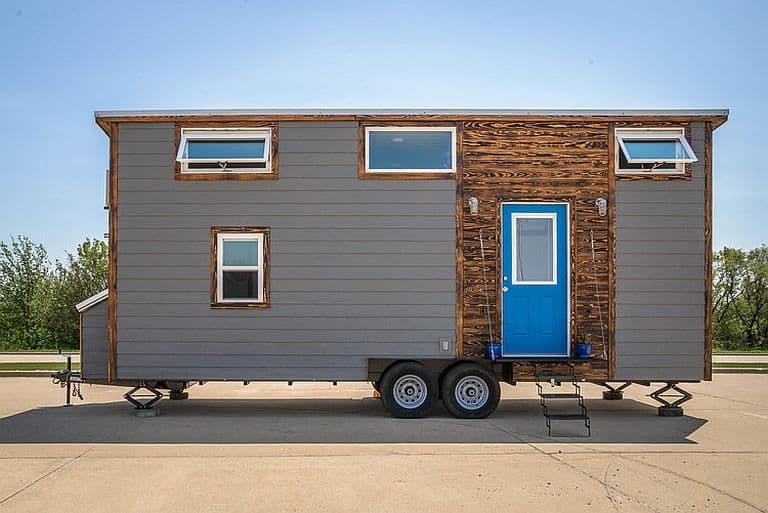 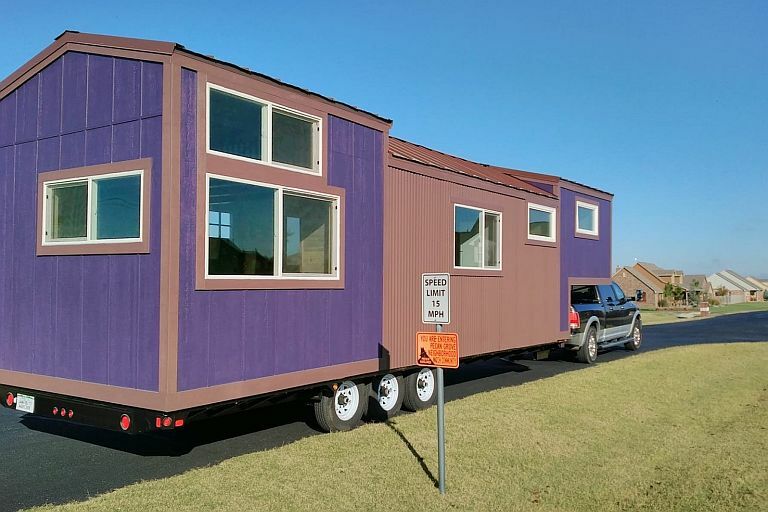 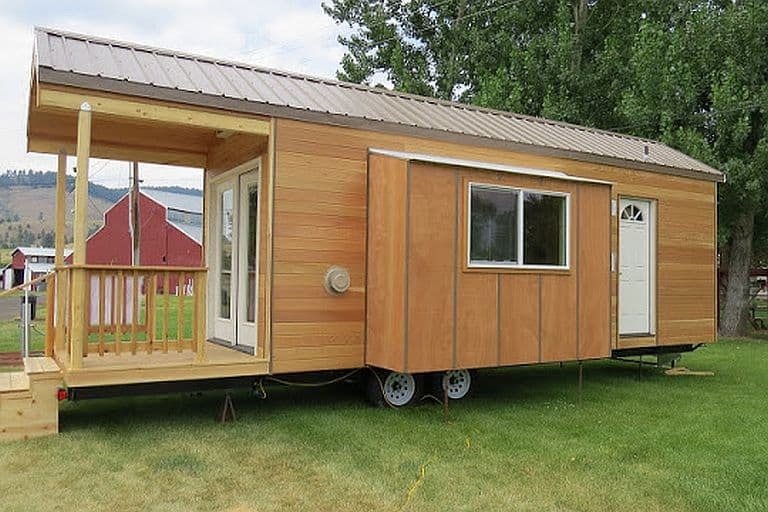 Packing 337 square feet of floor space into a street-legal 26-foot THOW might sound like a physical impossibility. 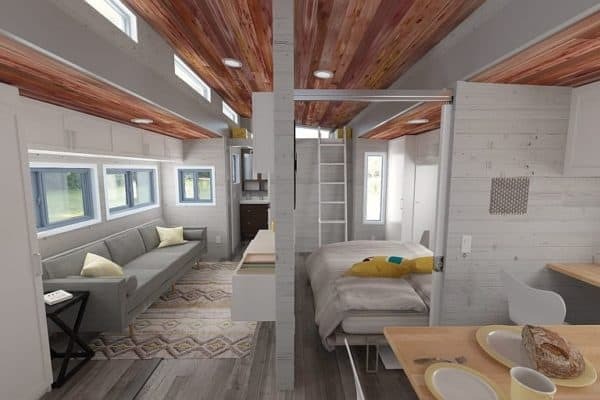 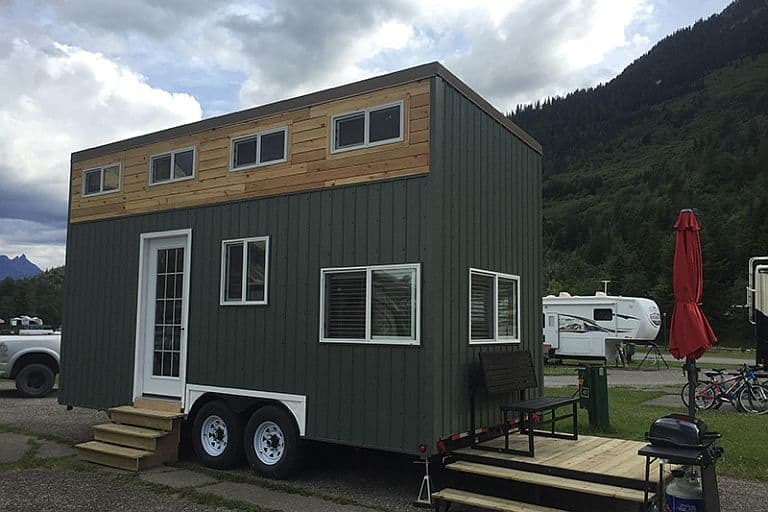 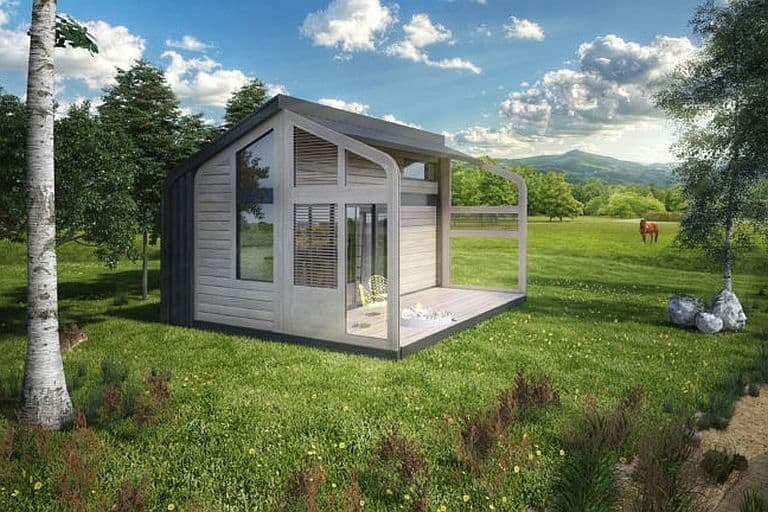 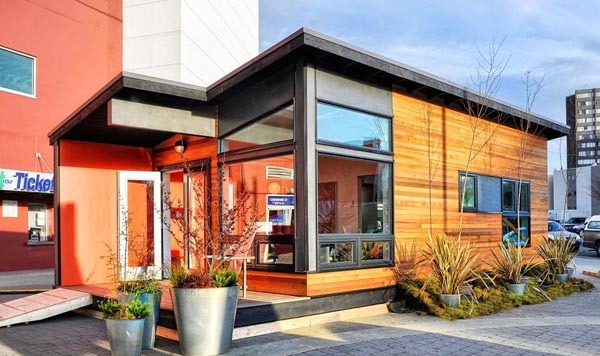 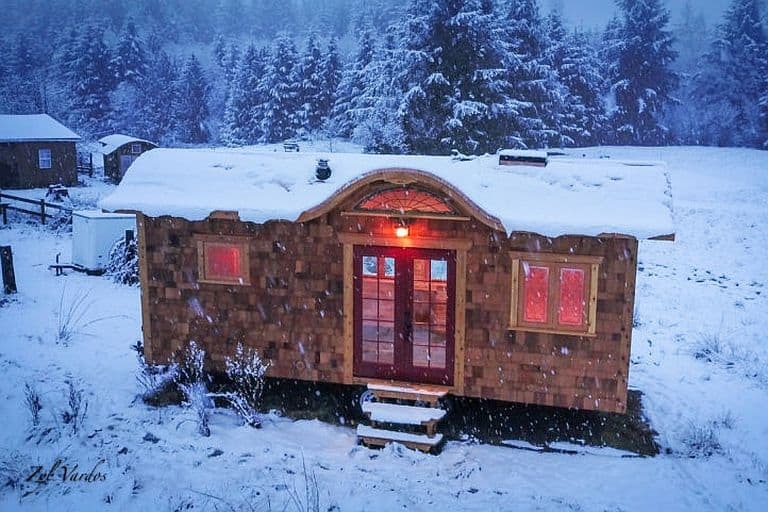 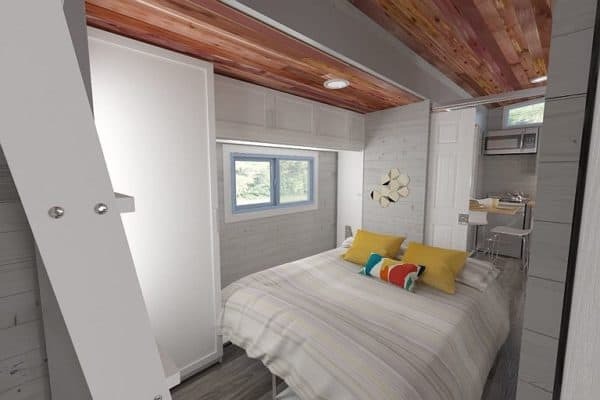 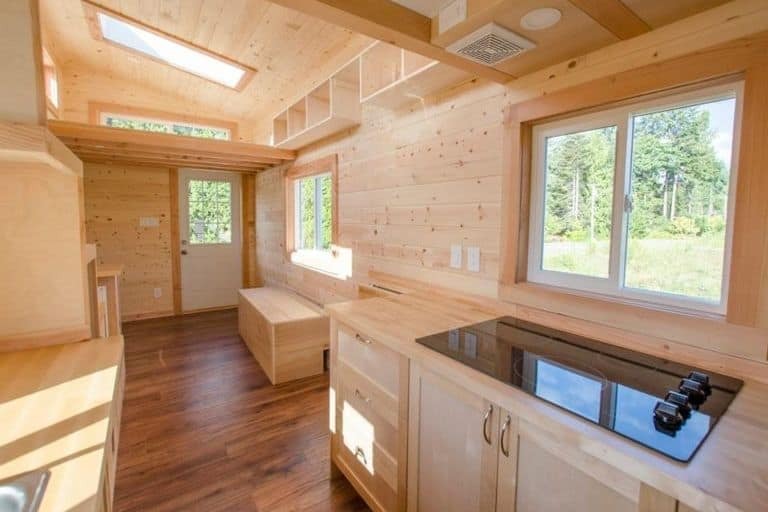 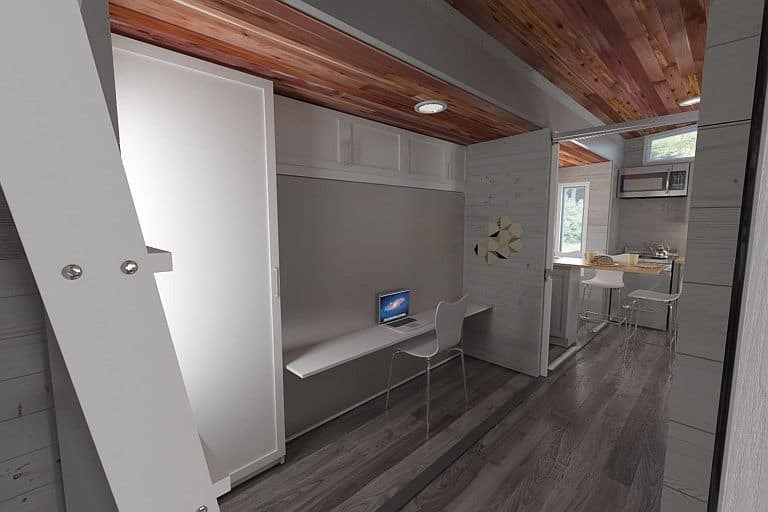 The team at Calgary outfit ZeroSquared took it as a challenge, because they liked a lot of things about tiny houses but thought the ones they saw were just too small to be livable for most people (themselves included). 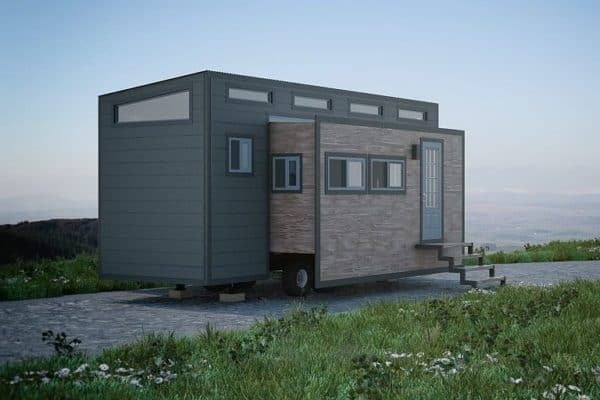 The Aurora concept from the partnership between Creative Coefficient and Westwind Design Group manages the trick with electronically operated extending sides that slide out to increase width from 8½ to 15 feet. 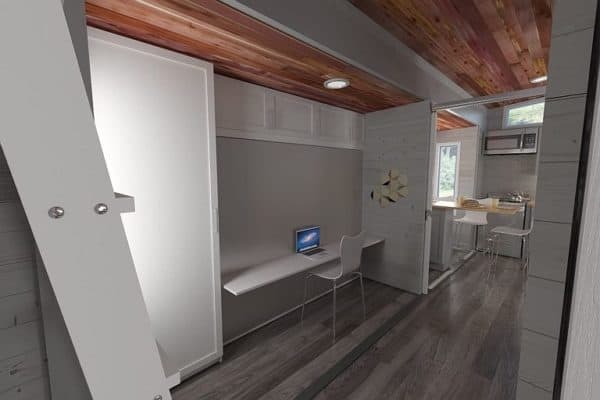 That gives enough space on either side of a centerline wall for two decent-sized rooms: a living area and a home office that doubles as a bedroom when a Murphy bed is deployed. 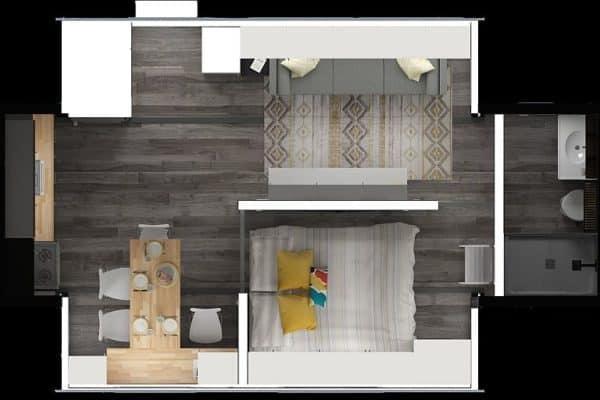 They both open onto a kitchen/dining room at the Aurora’s entry door, but the dual-purpose room can be closed off with a sliding door in case one resident’s sleeping or working while the other’s cooking. 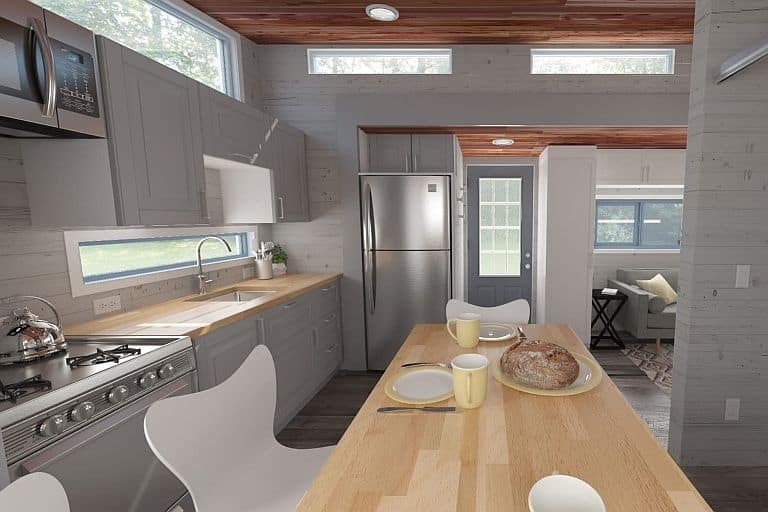 The kitchen has a full-sized fridge, oven and microwave amid a generous array of cabinets and countertops, and the dining table comfortable seats four. 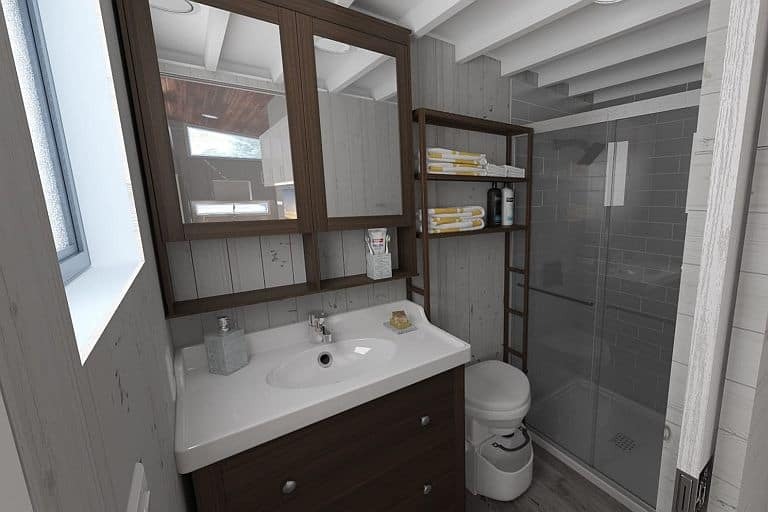 Over at the other end, the bathroom, which doesn’t participate in the expansion, is still fairly roomy by THOW standards; since it occupies the full unexpanded width, there’s space for a large vanity and a full-sized shower stall. 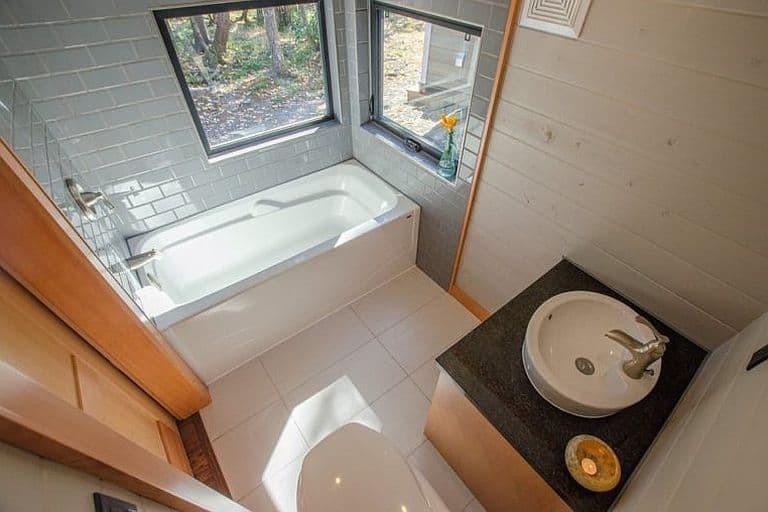 As for the toilet, ZeroSqared will install the customer’s choice of RV style, composting, incinerating, or dry. 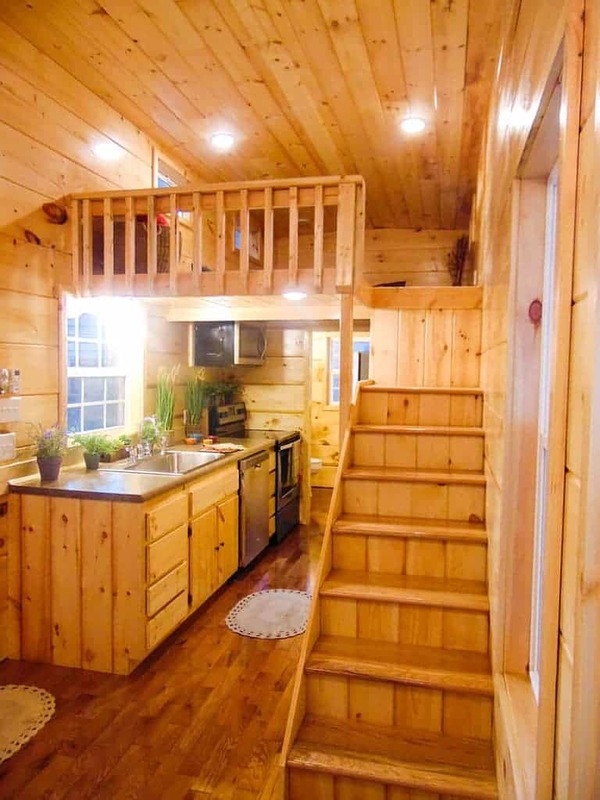 There’s a loft above the bathroom that’s meant for storage rather than as an auxiliary sleeping space. 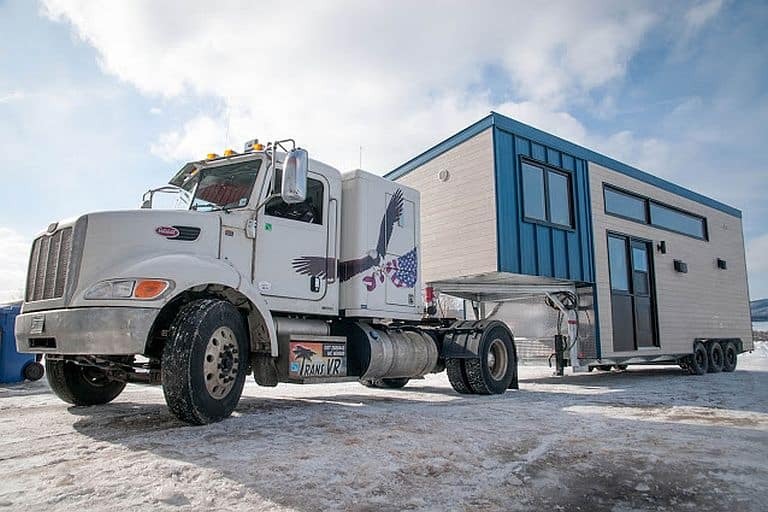 The Aurora will be constructed of structural insulated panels, giving it great R ratings (R-26 walls, R-42 roof) and saving some weight, but at around 14,000 pounds it’s still heavier than a lot of THOWs – see ZeroSquared’s FAQ for a list of trucks than can tow it. 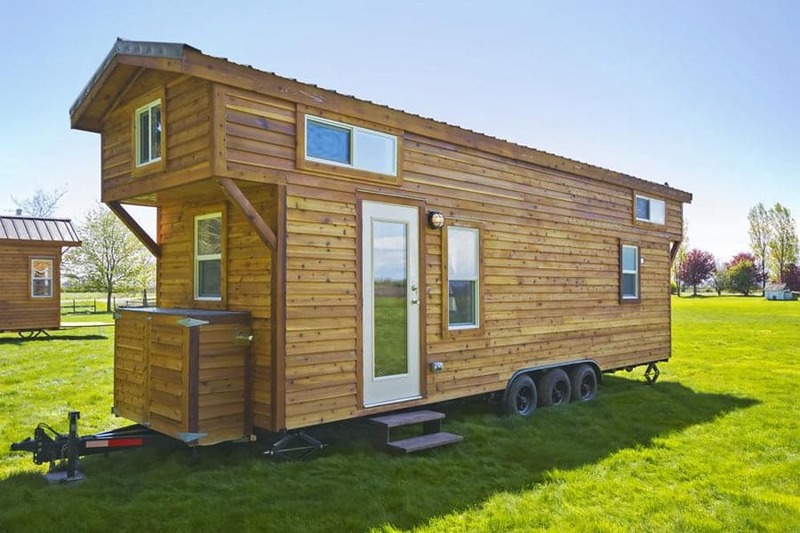 The first batch of ten should be finished in early 2017, and they’re taking preorders now. 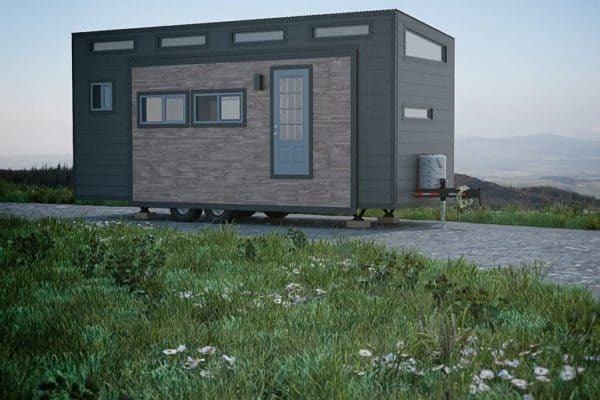 Price will vary somewhat depending on the options, but they say you can get a well-equipped unit for less than $75,000 (US).